The leading producer of machine tools. With Oracle Business Intelligence Enterprise Edition, we were able to significantly improve the process of reporting and communication, which is now ten times faster and involves fewer people, making it much more efficient. Libor Kuchař, Former General Manager of Kovosvit MAS, a.s.
At a time that calls for restructuring and efficiency at every step, Kovosvit MAS decided to apply modern communication methods across all its departments. It sought a sophisticated customized IT solution that could assure better access to data from the accounting, sales, purchasing, warehousing, and manufacturing departments and could reduce the duration of reporting processes across all corporate divisions, especially reports from the company management. At first, eliminating the manual procedures for creating reports and replacing the Microsoft Excel application that had been used for data communication and processing with Oracle Business Intelligence as a comprehensive solution seemed to be a difficult assignment, even though it was a reflection of the strong wish to significantly eliminate failures caused by human error. The requirement to reduce the workload put on IT staff in creating reports for all corporate divisions and to increase problem-solving efficiency through an immediate analysis of any live issues were the final pieces in the complex mosaic of the assignment. The phase of implementation and transition to the new system was preceded with a thorough and exacting analysis during which the client was not quite sure what to ask for and ever changing conditions and environments were also factors, as is often the case. 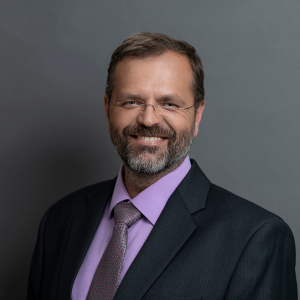 “Without full project support from all three parties involved on the side of the client – the initiator was the CFO in the economic division, the IT department took over in the implementation phase, and the top management provided their full support in both phases – our work would be more difficult, protracted, and also more expensive,” said Pavel Vítek, the IT manager of KOVOSVIT MAS. This was a bold plan. To achieve it, the company cooperated with Infinity a.s. as a gold partner of Oracle, and the Oracle Business Intelligence Enterprise Edition was deployed as a natural solution aiming at fully automated reporting processes to speed any type of reporting, such as reports from the company management, tenfold. The initial training and support was provided to key users during the implementation phase so that they could start working in the system environment with understanding, immediately after all the processes had been put to operation. A common part of the whole process was the test run and debugging of any anomalies, and fully professional post-implementation support was carried out on the basis of a service-level agreement. “The key to the whole project was the support of senior management and good cooperation with the IT department. As a result we were able to keep the set pace of implementation and meet the fixed deadlines without nervousness or disruptions during the final phase. It is also necessary to mention that the customer had kept the data well maintained and we did not have to address inconsistencies in the course of implementation. It was one of the factors that positively influenced the whole atmosphere of the implementation,” stated Infinity’s representative and project manager, Jan Koubek. Availability of information was increased immediately when all users obtained active access to key information and no longer had to wait for the batch reports to be created, checked, and re-circulated. The reports themselves are both more comprehensive and more user-focused, which contributes to faster and more qualified decision making at all levels of the company. Put very simply, spreadsheets and manual data entry were quickly and smoothly abandoned (it had been quite a common rule that each division or department had their “own” data and there was no efficient tool for consolidation of reports which caused disorganised fragmentation of information). This dramatically reduced the likelihood of human error. A very pleasant finding was that the number of IT staff required for reporting decreased by an impressive 50 percent. As a result of the Oracle Business Intelligence Enterprise Edition deployment, the availability of information immediately increased when all users obtained active access to key information and no longer had to wait for the batch reports to be created, checked, and re-circulated. The reports themselves are both more comprehensive and more user-focused, which contributes to faster and more qualified decision making at all levels of the company.